TOP 10 Most Stunning Celebrity Homes of All Time — The most incredible homes and vacation gateway of the world’s top stars feature amenities that top the charts in opulence. 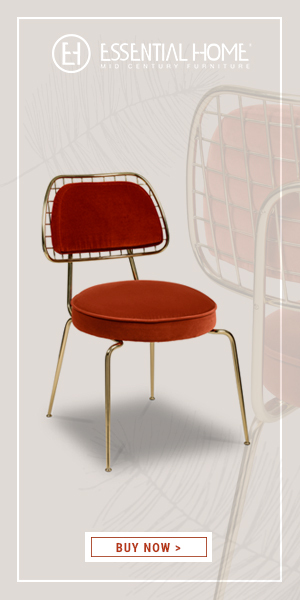 From the stunning Jennifer Aniston Bervelly Hills Home to the contemporary modern Brian Grazer’s Santa Monica home, there are just a few of the remarkable homes we’ve seen that go above and beyond in luxurious design. 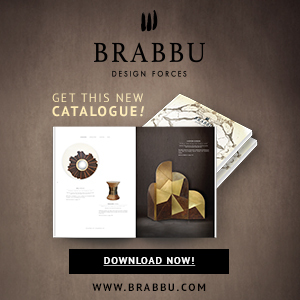 Join The Most Expensive Homes and take a look at the one-of-a-kind homes of celebrities around the world! 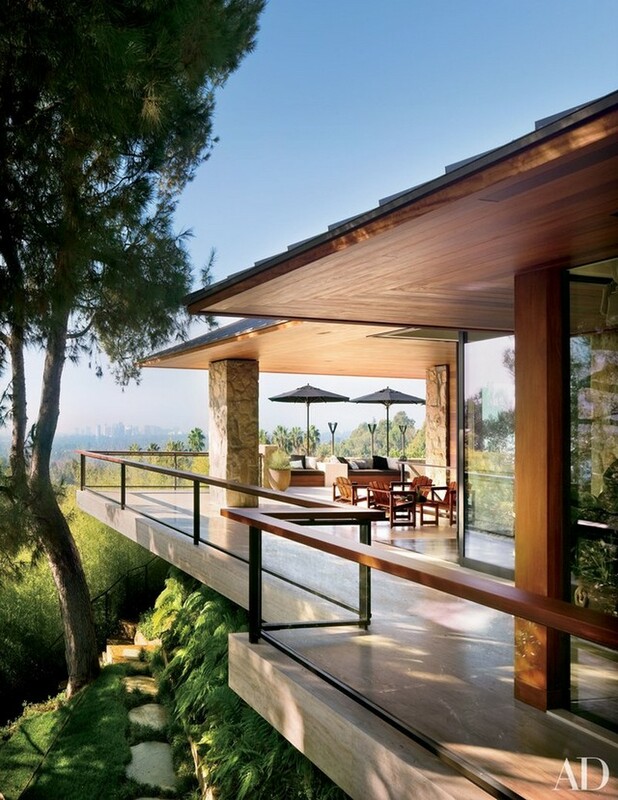 Jennifer Aniston collaborated with designer Stephen Shadley to transform a 1970 residence by Harold W. Levitt in Beverly Hills into a charming retreat where she hosts regular parties. 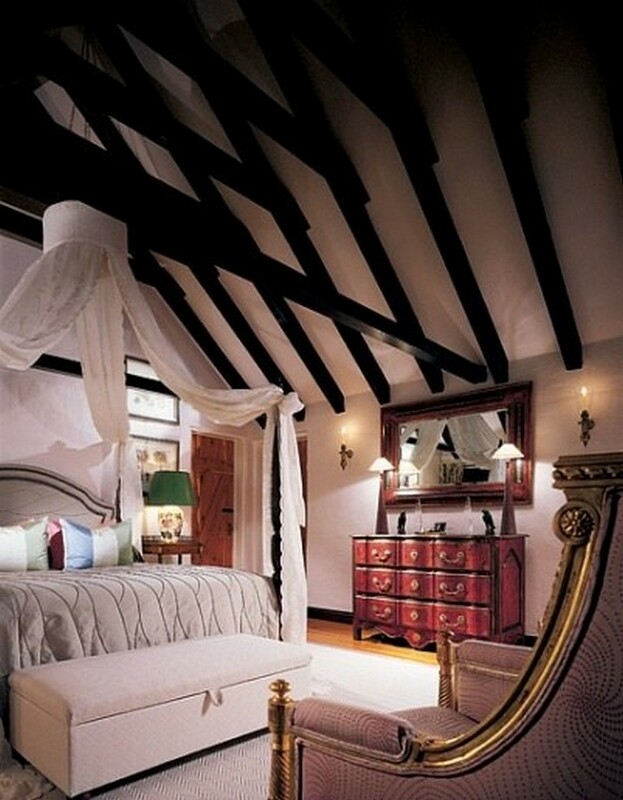 A canopy of lace panels cascade from the beamed ceiling in the bedroom of Catherine Zeta-Jones and Michael Douglas’s Bermuda home. 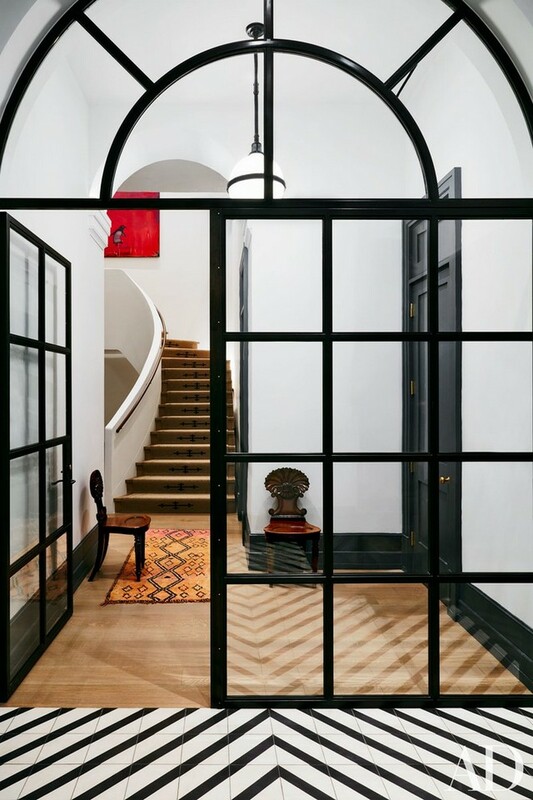 Black-and-white floor tiles by Clé provide a graphic welcome at the Manhattan duplex apartment that actors Naomi Watts and Liev Schreiber. 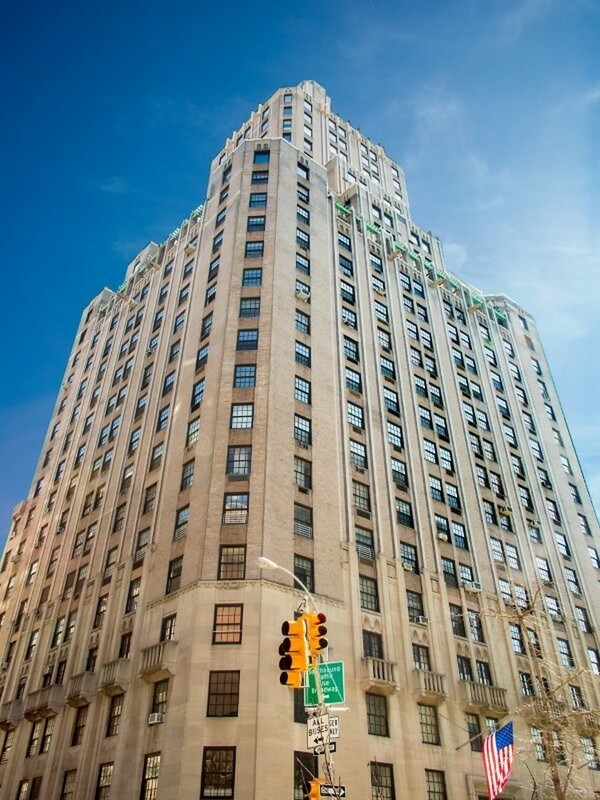 Keith Richards’s New York luxury penthouse is located in the heart of Greenwich Village. The wood-paneled library of late president Ronald Reagan’s Los Angeles home features an eclectic zebra rug. 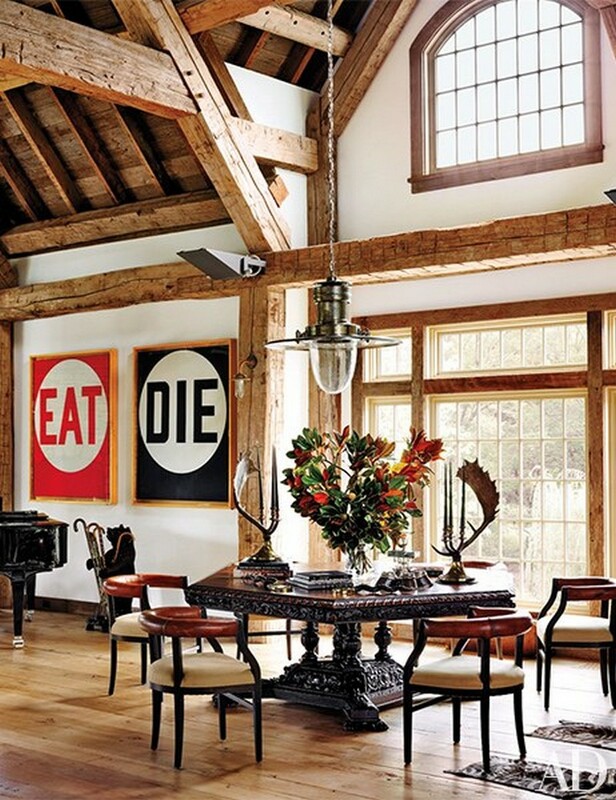 A pair of Robert Indiana paintings hangs in the Connecticut lodge of Tommy Mottola. 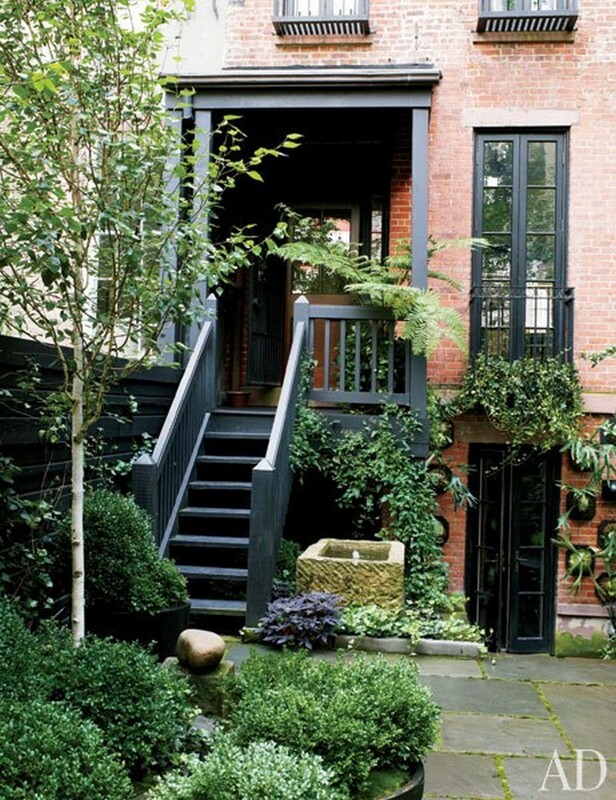 The painted trim of Julianne Moore’s Manhattan home is complemented by matte-black accents found throughout the garden. Artist Elizabeth Lyons created the light fixture that hangs over the limestone-top dining table in Julianna Margulies’s Manhattan apartment. 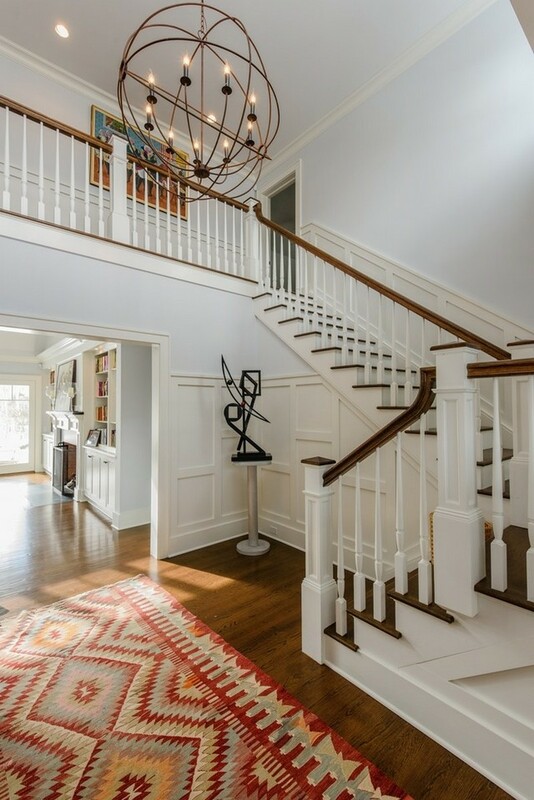 The Joy Behar’s East Hampton home opens into a double-height foyer with a classic staircase. 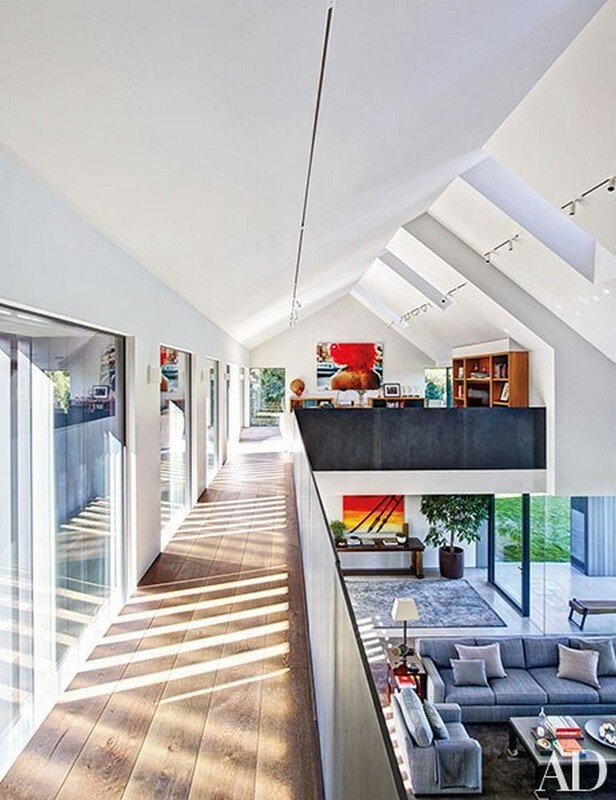 Brian Grazer’s Santa Monica home features a walkway leading to the office on the mezzanine level.